Steven (Chicagoland, United States) on 13 June 2012 in Plant & Nature and Portfolio. 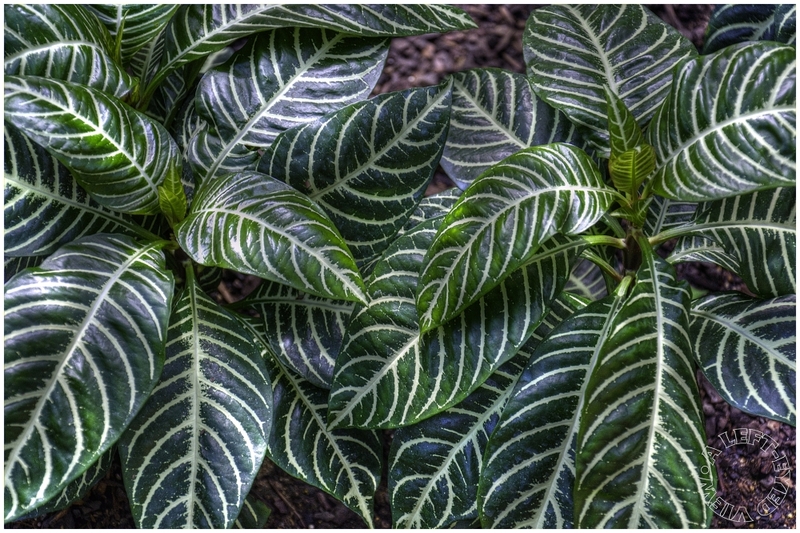 Aphelandra squarrosa (commonly called "zebra plant"), spotted at the Garfield Park Conservatory, is a plant species in the family Acanthaceae, which is native to Atlantic Forest vegetation of Brazil. This plant is often used as a house plant. This plant likes lots of light, but not direct. It does not bloom often, but it can be encouraged to bloom by prolonged daily exposure to light. It is also very sensitive to moisture content; too much or too little water will cause the lower leaves to brown and fall off. It likes to be kept moist but not wet. On average needs small amounts of water often rather than a thorough watering once in a while. Excellent tight framing. Beautiful visual effect. Beautiful crisp and refreshing image. I like the way your close-ups in this series complement the earlier Conservatory shots. Very beautiful framing and light ! Excellent perspective for this shot, Steven! A beautiful capture of this amazing plant. Fabulous lines and beautiful light . Beautifully captured and presented. Wonderful detail and framing. These plants always catch my eye, too. What a graphic shot of the veins in this leaves! A lovely image of the finicky plants. They wouldn't survive at my house. Wonderful light and colors on this beautiful framed image ! I love your point of view dear. Extraordinary process as usual. Colors and above all, lights are at their best. Beautiful leafy foliage and a very healthy looking plant! Great photo! It's a very demanding plant, but well worth the trouble. Perfect image. This makes such a lovely pattern! Beautiful! What an Excellent close up presenting the plant so beautifully including an informative text, we have an apartment plant here in Iran similar in design but different in variety of red, yellow, green sold in florist shops. Great detail, and I like the angle! Luscious shot. Really beautifully designed.